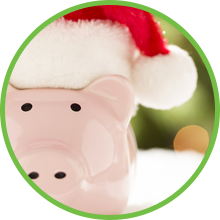 Club accounts are convenient, single purpose accounts for such things as Christmas and Vacation. Each account can grow with payroll deduction and earn quarterly dividends. Restrictions on withdrawal may apply. Christmas club checks are automatically issued in mid-October.